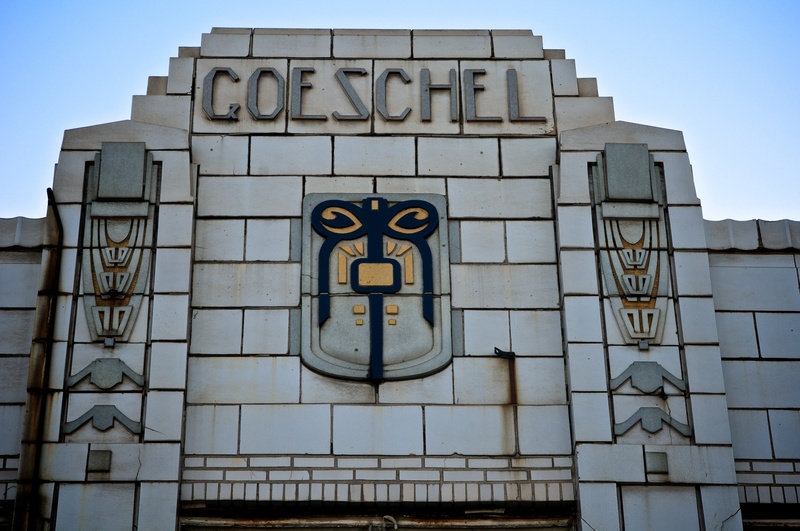 Located at Mack on Gratiot Ave., this stunning terra cotta building was was built as a store for Otto Goeschel. 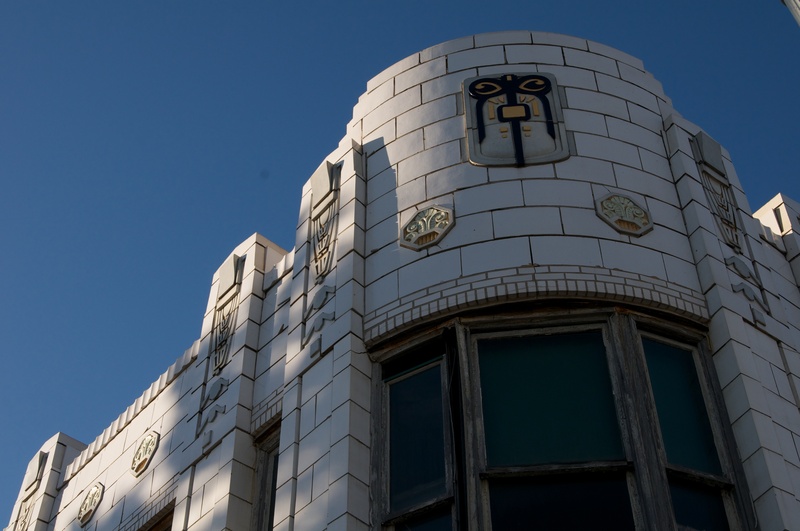 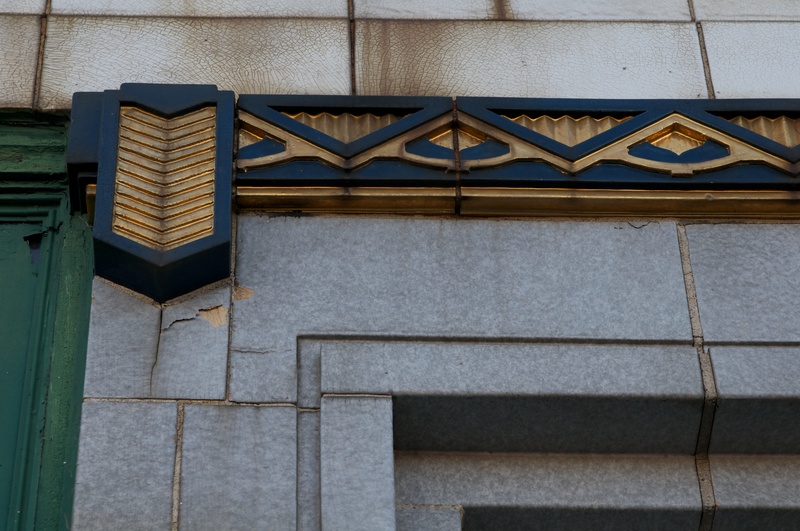 It features beautiful Art Deco patterns from the Northwestern Terra Cotta Company. 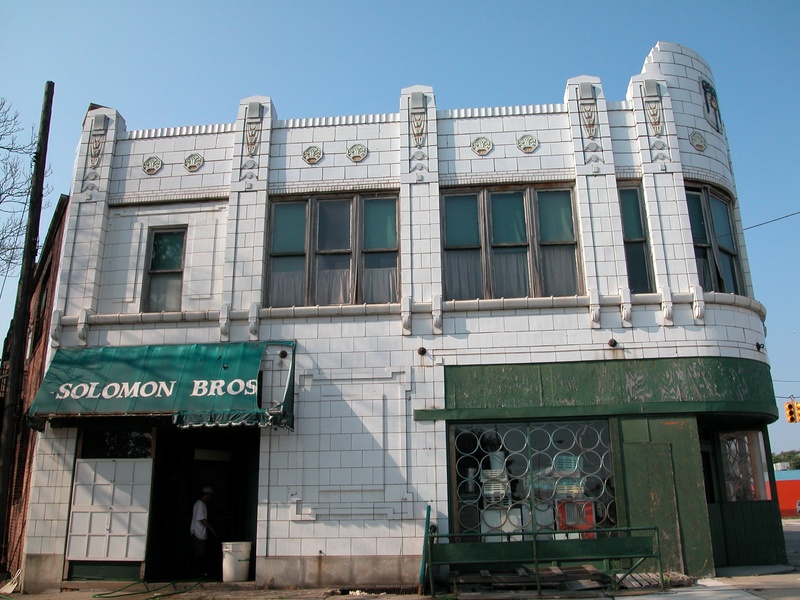 Currently the building houses a restaurant supply company.